Gifts have been opened, cookies have been eaten, Christmas has come and gone. Still, the last vestige of holiday festivities remains: the slowly decaying Christmas tree husk in your living room. Even as fake tree sales rise, as many as 30 million real Christmas trees are sold in the United States each year. After serving as Yuletide decorations, many of these trees will head to landfills. 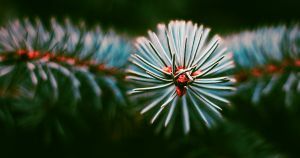 But now, in a flourish of environmental Christmas magic, researchers from the UK’s University of Sheffield have found a way to break down a component in pine needles called lignocellulose and use it to create paints and sweeteners — a heartening seasonal example of how biotech discoveries can reduce waste at unexpected points on the global supply chain. Lignocellulose is ugly. No, really. Its chemical structure makes it difficult to use for biomass energy, and it serves little industrial purpose. Sheffield PhD student Cynthia Kartey’s work has focused on examining ways to make use of this material, and now she may be on to something. Using heat and glycerol Kartey was able to break down the pine needles into two components, one of which was made mostly of materials like glucose, acetic acid and phenol. All three have uses in other industries — glucose is used to make food sweeteners, phenol is used in products like mouthwash, and acetic acid for making adhesives, vinegar, and even paint. “In the future, the tree that decorated your house over the festive period could be turned into paint to decorate your house once again,” Kartey said in a press release. Recycling and repurposing waste products is almost certain to become an increasingly important aspect of the future economy. We’re already beginning to see the process in action, from recycling space junk to reusable beer bottles and even bricks made from literal human urine. Soon, perhaps even Christmas trees will keep our future green and fresh-pine scented. The post Your Christmas Tree Could Be Recycled Into Paint or Sweeteners appeared first on Futurism. We’ve long known that traveling in space carries numerous health risks — it exposes astronauts to higher levels of radiation than the rest of us, and they have reported such health problems as partial blindness upon returning to Earth — but we never actually knew if working in space caused astronauts to die prematurely. Luckily, he found one — but while his comparison of the two groups resulted in good news for today’s astronauts, the same might not hold true for the people we send to space in the future. Astronauts tend to be more physically fit and affluent than the average American, with access to better healthcare. That makes studying astronaut mortality difficult — they’re too different from the average person to draw any sound conclusions. But they aren’t all that different from National Basketball Association (NBA) and Major League Baseball (MLB) players, who also tend to be fit, affluent, and treated by top-of-the-line medical professionals. In a study published in the journal Occupational & Environmental Medicine, Reynolds and his colleagues at Mortality Research & Consulting, Inc. describe how they compared data on men who played for either the NBA or MLB between 1960 and mid-2018 with data on male U.S. astronauts. This comparison led them to conclude that both athletes and astronauts had a lower risk of premature death than the general U.S. population. Astronauts also died from heart disease at a lower rate than the athletes and of cancer at about the same rate. 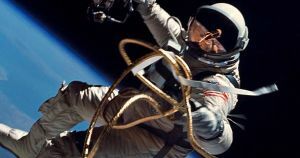 “We cannot be sure from the data we have, but we speculate that cardiovascular fitness in particular is the most important factor in astronaut longevity,” Reynolds told Reuters. This study fills an important gap in our understanding of the impact of space travel on astronauts, but we still have much to learn. For example, we know space affects female astronauts differently than their male colleagues, so do they also have lower mortality rates than the general population? We’ve also only been sending people to space for 57 years and fewer than 600 have made the trip. That’s not a lot of data to work with, and the conclusions on astronaut mortality might change as more becomes available. As Francis Cucinotta, an expert in radiation biology who wasn’t involved in the study, told Reuters, just because space travel isn’t linked to premature death in today’s astronauts doesn’t mean the same would hold true in the future. Crewed missions to Mars are in the works, for example, and those would expose astronauts to a dose of radiation 50 to 100 times higher than past off-world missions, said Cucinotta. And radiation is just one factor. There’s also a chance anything from Martian dust to the psychological strain on longterm space travel could impact future astronauts’ mortality, so before we risk taking years off anyone’s life by sending them into space, we’ll need to be sure we conduct as much research as possible here on Earth. The post Space Travel Doesn’t Seem to Shorten Astronauts’ Lives, Says Study appeared first on Futurism. Electric car maker Tesla will expand its network of Superchargers to provide service for all of Europe by the end of 2019, CEO Elon Musk tweeted Wednesday. If the plans come to fruition, the vast expansion will represent not just a coup for Tesla but also for the growing global infrastructure that supports practical transportation by electric car. Right now there are 1,386 Supercharger stations worldwide, according to a map on Tesla’s website. But there are still large gaps in planned coverage throughout Eastern Europe as well as in Sweden, Finland, and Norway — all of which Musk pledged to cover next year in the tweet. Musk has a notable habit of tweeting Tesla updates from his personal account, and a spotty record when it comes to promising expansions to Tesla’s Supercharger network. Electrek reported that Musk had similarly promised 18,000 chargers worldwide by the end of 2018, but according to the map there are currently just 11,583 spread over the 1,386 stations. But with most of the European Supercharger infrastructure already in place, total coverage by 2020 seems like a feasible goal. In another tweet, Musk said Tesla said it would set its sights on Africa in 2020. At the moment, there is not a single Supercharger on the entire continent, according to The Verge. It’s unclear which African or European countries will receive Superchargers first and how they will be distributed. But if Musk is to be taken at his word, Tesla will be working hard to expand electric vehicle use throughout the world very soon. The post Elon Musk Pledges Tesla Superchargers For All of Europe Next Year appeared first on Futurism. The Chinese government approved the plans for a massive energy storage grid in Gansu Province on Monday, according to a statement by the Gansu Provincial Development & Reform Commission. The project is scheduled to be completed this coming year according to Bloomberg — a colossal infrastructure investment that underscores China’s growing financial commitment to clean, renewable energy. As of September, China generated 706 gigawatts of solar and wind electricity, Bloomberg reports. But without infrastructure to support the power being generated, some of it went to waste. 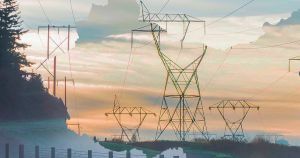 According to the government statement, the virtual power plant would have a capacity of 720 MWh and could store unused electricity for four hours. For comparison, that’s almost two thirds the capacity of Tesla’s proposed “Megapack” energy storage system, which would bring a 1,200 MWh virtual power plant to California. With a large-scale battery storage facility, people in Gansu will be able to rely on clean energy as needed rather than having to revert to fossil fuels when the sun goes down or the wind stops blowing. The post China Is Building Its First Huge Battery Storage Facility appeared first on Futurism. Tesla appears ready to kick its vehicles’ fully autonomous capabilities up a notch. Musk hasn’t always delivered on his ambitious public promises, but the email signals that he is positioning himself against the autonomous car hype trough — pushing for a future in which self-driving cars are a key aspect of transportation and not a glorified cruise control for luxury models. Just a few years ago, a growing number of experimental autonomous cars on public roads gave the impression that the arrival of safe and reliable self-driving vehicles was only a matter of time. But a growing sense of the remaining engineering challenges — not to mention the March 2018 death of a pedestrian run down by a self-driving Uber vehicle — have chipped away at that confidence. The evidence that self-driving vehicle manufacturers aren’t always upfront with the public hasn’t helped either. An excoriating October New Yorker investigation into the early years of the Google self-driving research project that eventually became Waymo found that the company had performed reckless road tests early in its work — and hadn’t always reported accidents. Musk’s promise to accelerate fully autonomous research, along with a call for more internal Tesla testers for the program, run precisely counter to that narrative. That’s not surprising: the eccentric Musk is known for imagining futures that are still years away — and using his wealth and influence to attempt to steer history toward or away from them. Maybe the real question is political, rather than technological: Whether the relentless will of one person enough to pull an entire industry onto a different track. 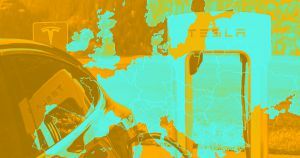 The post Musk: Tesla’s Fully Autonomous Capabilities “About to Accelerate” appeared first on Futurism. Designers of smart garments have a vision: that we’ll come to use electronics woven into the clothes we wear not just as dazzling new ways to express ourselves, like the light-up prom dress that went viral in 2017, but as extensions of our digital lives that could collect biometric data or even grant wearers superhuman senses. The problem is that today’s old-fashioned textiles are already the result of thousands of years of innovation, and versions that incorporate wearable computing tech need to be just as hardy. Smart garments will have to be resilient in the face of everything from wash-and-fold to sweaty workouts, not to mention as long-lasting as a trusty t-shirt. One key challenge has always been creating conductive wires that can carry current between components in a smart garment without breaking down over time as it flexes, twists, and gets wet. Now, Chinese scientists say they’ve invented a new type of self-assembling silver nanowire, inspired by the capillaries in your cardiovascular system, that could be the most practical attempt yet. The new research, published Thursday in the journal Nano by researchers at the Chinese Nanjing University of Posts and Telecommunications, describes silver-based wiring that’s cheap to make and could lead to more comfortable and durable smart textiles than ever before. Here’s how it works. 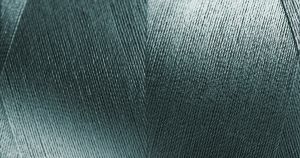 The engineers behind this silver fiber found a way to manufacture tiny wires without much of the headache that normally comes with nanotech assembly. Instead of painstakingly crafting the tiny wires that transport electricity throughout their fabric, the scientists concocted a silver-based solution that automatically soaks into tube-like fibers, drawing into the tube like blood into a capillary. Like so many other smart textile projects that have popped up over the past few years, this research is still at the proof-of-concept stage. For all of the progress scientists have made, very few attempts to integrate that tech into clothing have taken off. But the consistency with which researchers, makers, and hackers — not to mention sci-fi writers — have imagined smart garments over the decades suggests a genuine demand for the concept that we could see within a lifetime. At least, that is, if it can survive 40 minutes in a clothes dryer. The post New Fiber Could Be the Foundation for Futuristic Smart Garments appeared first on Futurism. If the world ever devolves into a post-apocalyptic desert wasteland, you’ll probably need to watch out for dust storms and violent bikers gangs. But you might not have to worry about finding enough water. That’s because a team of researchers at the Ohio State University (OSU) has been studying how some of the desert’s most efficient water collectors manage to quite literally pull water from midair — and what they learned could help ensure we all have enough clean drinking water, before or after the breakdown of social order. 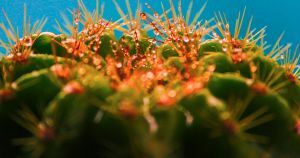 In a study published Monday in the journal Philosophical Transactions of the Royal Society, researchers from OSU describe how cacti, desert grass, and desert beetles collect water from the fog that falls over the desert at night. The researchers then used 3D printers to create surfaces that mimicked the natural ones of those three desert dwellers. They covered some of the surfaces in grooves similar to those that help a desert grass channel water toward its roots. Other surfaces bore cones designed to mimic the water-collecting spines of the cactus. The researchers also tested out different materials, including ones that were heterogeneous — a mix of water-collecting and water-repelling spots — like the surface of a beetle’s back, which plays a major role in its water collection. Then they tested the various surfaces by placing them in a room with a humidifier. 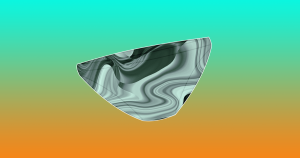 The result: they determined that the best surface for water collection would incorporate a heterogeneous material and multiple grooved cones, each inclined at a 45-degree angle. The researchers believe a large-scale structure based on their findings could one day gather water from fog or condensation that people in dry environments could then drink. Let’s just hope they manage to scale-up their tech well before any sort of apocalypse. The post Cacti-Inspired Tech Could Keep You Hydrated After the Apocalypse appeared first on Futurism. 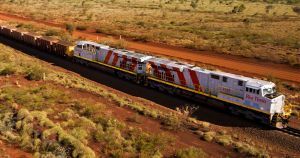 The ore-hauling train is just one part of an ambitious automation project involving robotics and driverless vehicles that Rio Tinto wants to use to automate its mining operations. The company conducted its first test of the train without a human on board earlier this year, and it now claims that the system has completed more than a million kilometers (620,000 miles) of autonomous travel. In response to concerns from labor unions, Rio Tinto promised that the autonomous rail system will not eliminate any existing jobs in the coming year — though it’s difficult to imagine the project won’t cut into human jobs in the long term. The post Australian Autonomous Train Is The “World’s Largest Robot” appeared first on Futurism. Feng Zhang, one of the inventors of CRISPR, told The WSJ that gene-editing trials “hinge upon rigorous trial design and follow-ups.” Jennifer Doudna, another CRISPR inventor, said it’s “vital” that researchers conduct long-term monitoring of gene-edited patients. “Since we do not fully understand the human genome and are still developing knowledge of CRISPR-Cas technology, we need to monitor the intended and unintended consequences over the lifespan of patients,” Doudna told The WSJ. 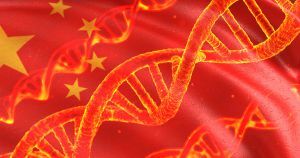 The Chinese government has thus far remained fairly hands-off with regards to CRISPR research — it hasn’t even tasked any one federal body with overseeing its gene-editing trials — but that could be changing. On Thursday, the South China Morning Post reported that China is asking hospitals and universities to submit thorough reports on all human gene-editing trials conducted since 2013. This closer look at human gene editing is likely due to the international backlash the nation faced in the wake of Chinese researcher He Jiankui announcing he’d modified the genes of human embryos. Those embryos were then implanted into a woman, who gave birth to twin girls. 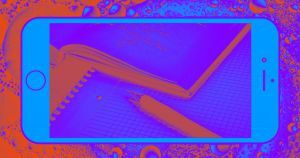 While it might be too late to find out what sort of long-term effect CRISPR may have had on the missing patients from that cancer trial, China’s newfound interest in what’s happening within the walls of its labs could at least ensure that current and future trials don’t make the same mistakes — and hopefully, it’ll prevent any other researchers from following in He’s reckless footsteps. The post Chinese Scientists Reportedly Lost Track of Gene-Edited Patients appeared first on Futurism. The choose-your-own-adventure story format is no longer just for books. It’s also no longer only for kids. 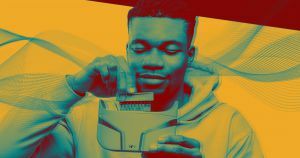 In October, an anonymous source told Bloomberg that Netflix planned to release an interactive episode of its dystopian sci-fi series “Black Mirror.” Rather than pushing play and sitting back to watch a linear story unfold before their eyes, viewers would need to make choices at various points throughout the episode, sending the plot in a new direction with each decision. At 3:01 a.m. ET on Friday, Netflix confirmed that report with the release of the “Black Mirror” episode Bandersnatch — and the overwhelmingly positive response to the episode looks like a sign that adult viewers are ready to embrace interactive storytelling. 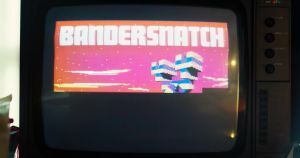 The general — and spoiler-free — plot of Bandersnatch is this: Young computer coder Stefan, portrayed by “Dunkirk” actor Fionn Whitehead, is hired to help create a computer game inspired by a choose-your-own-adventure novel. The interactive format works on pretty much any device you’d use to watch Netflix, including most TVs, game consoles, web browsers, smartphones, and tablets. The primary platforms that don’t support it are Chromecast and Apple TV, according to Netflix. This isn’t Netflix’s first foray into interactivity. In June 2017, the platform released “Puss in Book: Trapped in an Epic Tale,” an interactive short animated film for children. According to The Independent, Netflix is already asking producers to submit proposals for other interactive content in a variety of genres. Given the breathless response to Bandersnatch, it’s hard to imagine that Netflix won’t green light at least a few. Equally hard to imagine is other platforms not attempting to replicate the platform’s success themselves. So with the release of just one creepy episode of “Black Mirror,” Netflix may have ushered in an entirely new era in entertainment. The post Netflix’s Bandersnatch Teases the Future of Entertainment appeared first on Futurism. Regenexx uses your body’s natural healing ability to repair damage to bones, muscles, cartilage, tendons, and ligaments non-surgically. Our proprietary, research-driven techniquesallow us to concentrate your cells and to place them inthe precise area of your injury to promote healing and to achieve optimal outcomes. People considering stem cell treatment for arthritis want to know Is it safe? and Is it effective? 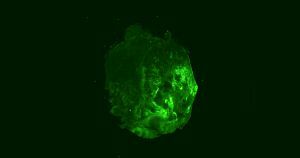 See What Are Stem Cells? As with most regenerative medicine treatments, research is ongoing, and FDA regulations are relatively new and subject to change. Whether or not stem cells therapy is effective in treating osteoarthritis is a controversial subject among medical professionals, and research in the area is ongoing. It may be none, one, two, or all three processes at are work. Proponents vs criticsLike many relatively new treatments, stem cell therapy has proponents and critics. Critics emphasize that there have been no large-scale, prospective, double-blind research studiesthe kind of clinical studies that medical professionals consider the gold standardto support stem cell therapy for arthritis. Factors that affect stem cell therapy researchAnother challenge associated with current stem cell research is that there is no standard stem cell therapy for arthritis treatment. So the stem cell therapy in one study is not necessarily the same as the stem cell therapy in another study. These differences are further complicated by more unknowns. For example, how many stem cells are needed for a particular treatment? And how do we determine if a patients own stem cells are competent enough to aid in healing? Many physicians combine the use of stem cells with platelet rich plasma, or PRP. PRP is derived from a sample of the patients blood. In the body, platelets secrete substances called growth factors and other proteins that regulate cell division, stimulate tissue regeneration, and promote healing. Like stem cell therapy, PRP therapy is sometimes used alone with the hopes of healing an arthritic joint. Physicians who use PRP and stem cells together think that the PRP can help maximize the healing effects of stem cells.7,8 Research in this area is ongoing. Both doctors and patients can benefit from having a frank conversation and setting reasonable expectations. Eugenics (; from Greek eugenes ‘well-born’ from eu, ‘good, well’ and genos, ‘race, stock, kin’) is a set of beliefs and practices that aims at improving the genetic quality of a human population. The exact definition of eugenics has been a matter of debate since the term was coined by Francis Galton in 1883. The concept predates this coinage, with Plato suggesting applying the principles of selective breeding to humans around 400BCE. Frederick Osborn’s 1937 journal article “Development of a Eugenic Philosophy” framed it as a social philosophythat is, a philosophy with implications for social order. That definition is not universally accepted. Osborn advocated for higher rates of sexual reproduction among people with desired traits (positive eugenics), or reduced rates of sexual reproduction and sterilization of people with less-desired or undesired traits (negative eugenics). Alternatively, gene selection rather than “people selection” has recently been made possible through advances in genome editing, leading to what is sometimes called new eugenics, also known as neo-eugenics, consumer eugenics, or liberal eugenics. While eugenic principles have been practiced as far back in world history as ancient Greece, the modern history of eugenics began in the early 20th century when a popular eugenics movement emerged in the United Kingdom and spread to many countries including the United States, Canada and most European countries. In this period, eugenic ideas were espoused across the political spectrum. Consequently, many countries adopted eugenic policies with the intent to improve the quality of their populations’ genetic stock. Such programs included both “positive” measures, such as encouraging individuals deemed particularly “fit” to reproduce, and “negative” measures such as marriage prohibitions and forced sterilization of people deemed unfit for reproduction. People deemed unfit to reproduce often included people with mental or physical disabilities, people who scored in the low ranges of different IQ tests, criminals and deviants, and members of disfavored minority groups. The eugenics movement became negatively associated with Nazi Germany and the Holocaust when many of the defendants at the Nuremberg trials attempted to justify their human rights abuses by claiming there was little difference between the Nazi eugenics programs and the U.S. eugenics programs. In the decades following World War II, with the institution of human rights, many countries gradually began to abandon eugenics policies, although some Western countries, among them the United States and Sweden, continued to carry out forced sterilizations. Since the 1980s and 1990s, when new assisted reproductive technology procedures became available such as gestational surrogacy (available since 1985), preimplantation genetic diagnosis (available since 1989), and cytoplasmic transfer (first performed in 1996), fear has emerged about a possible revival of eugenics. A major criticism of eugenics policies is that, regardless of whether “negative” or “positive” policies are used, they are susceptible to abuse because the criteria of selection are determined by whichever group is in political power at the time. Furthermore, negative eugenics in particular is considered by many to be a violation of basic human rights, which include the right to reproduction. Another criticism is that eugenic policies eventually lead to a loss of genetic diversity, resulting in inbreeding depression due to lower genetic variation. The concept of positive eugenics to produce better human beings has existed at least since Plato suggested selective mating to produce a guardian class. In Sparta, every Spartan child was inspected by the council of elders, the Gerousia, which determined if the child was fit to live or not. In the early years of ancient Rome, a Roman father was obliged by law to immediately kill his child if they were physically disabled. Among the ancient Germanic tribes, people who were cowardly, unwarlike or “stained with abominable vices” were put to death, usually by being drowned in swamps. The first formal negative eugenics, that is a legal provision against the birth of allegedly inferior human beings, was promulgated in Western European culture by the Christian Council of Agde in 506, which forbade marriage between cousins. This idea was also promoted by William Goodell (18291894) who advocated the castration and spaying of the insane. The idea of a modern project of improving the human population through a statistical understanding of heredity used to encourage good breeding was originally developed by Francis Galton and, initially, was closely linked to Darwinism and his theory of natural selection. Galton had read his half-cousin Charles Darwin’s theory of evolution, which sought to explain the development of plant and animal species, and desired to apply it to humans. Based on his biographical studies, Galton believed that desirable human qualities were hereditary traits, although Darwin strongly disagreed with this elaboration of his theory. In 1883, one year after Darwin’s death, Galton gave his research a name: eugenics. With the introduction of genetics, eugenics became associated with genetic determinism, the belief that human character is entirely or in the majority caused by genes, unaffected by education or living conditions. Many of the early geneticists were not Darwinians, and evolution theory was not needed for eugenics policies based on genetic determinism. Throughout its recent history, eugenics has remained controversial. Eugenics became an academic discipline at many colleges and universities and received funding from many sources. Organizations were formed to win public support and sway opinion towards responsible eugenic values in parenthood, including the British Eugenics Education Society of 1907 and the American Eugenics Society of 1921. Both sought support from leading clergymen and modified their message to meet religious ideals. In 1909 the Anglican clergymen William Inge and James Peile both wrote for the British Eugenics Education Society. Inge was an invited speaker at the 1921 International Eugenics Conference, which was also endorsed by the Roman Catholic Archbishop of New York Patrick Joseph Hayes. Three International Eugenics Conferences presented a global venue for eugenists with meetings in 1912 in London, and in 1921 and 1932 in New York City. Eugenic policies were first implemented in the early 1900s in the United States. It also took root in France, Germany, and Great Britain. Later, in the 1920s and 1930s, the eugenic policy of sterilizing certain mental patients was implemented in other countries including Belgium, Brazil, Canada, Japan and Sweden. In addition to being practiced in a number of countries, eugenics was internationally organized through the International Federation of Eugenics Organizations. Its scientific aspects were carried on through research bodies such as the Kaiser Wilhelm Institute of Anthropology, Human Heredity, and Eugenics, the Cold Spring Harbour Carnegie Institution for Experimental Evolution, and the Eugenics Record Office. Politically, the movement advocated measures such as sterilization laws. In its moral dimension, eugenics rejected the doctrine that all human beings are born equal and redefined moral worth purely in terms of genetic fitness. Its racist elements included pursuit of a pure “Nordic race” or “Aryan” genetic pool and the eventual elimination of “unfit” races. Early critics of the philosophy of eugenics included the American sociologist Lester Frank Ward, the English writer G. K. Chesterton, the German-American anthropologist Franz Boas, who argued that advocates of eugenics greatly over-estimate the influence of biology, and Scottish tuberculosis pioneer and author Halliday Sutherland. Ward’s 1913 article “Eugenics, Euthenics, and Eudemics”, Chesterton’s 1917 book Eugenics and Other Evils, and Boas’ 1916 article “Eugenics” (published in The Scientific Monthly) were all harshly critical of the rapidly growing movement. Sutherland identified eugenists as a major obstacle to the eradication and cure of tuberculosis in his 1917 address “Consumption: Its Cause and Cure”, and criticism of eugenists and Neo-Malthusians in his 1921 book Birth Control led to a writ for libel from the eugenist Marie Stopes. Several biologists were also antagonistic to the eugenics movement, including Lancelot Hogben. Other biologists such as J. B. S. Haldane and R. A. Fisher expressed skepticism in the belief that sterilization of “defectives” would lead to the disappearance of undesirable genetic traits. As a social movement, eugenics reached its greatest popularity in the early decades of the 20th century, when it was practiced around the world and promoted by governments, institutions, and influential individuals. Many countries enacted various eugenics policies, including: genetic screenings, birth control, promoting differential birth rates, marriage restrictions, segregation (both racial segregation and sequestering the mentally ill), compulsory sterilization, forced abortions or forced pregnancies, ultimately culminating in genocide. The scientific reputation of eugenics started to decline in the 1930s, a time when Ernst Rdin used eugenics as a justification for the racial policies of Nazi Germany. Adolf Hitler had praised and incorporated eugenic ideas in Mein Kampf in 1925 and emulated eugenic legislation for the sterilization of “defectives” that had been pioneered in the United States once he took power. Some common early 20th century eugenics methods involved identifying and classifying individuals and their families, including the poor, mentally ill, blind, deaf, developmentally disabled, promiscuous women, homosexuals, and racial groups (such as the Roma and Jews in Nazi Germany) as “degenerate” or “unfit”, and therefore led to segregation, institutionalization, sterilization, euthanasia, and even mass murder. The Nazi practice of euthanasia was carried out on hospital patients in the Aktion T4 centers such as Hartheim Castle. By the end of World War II, many discriminatory eugenics laws were abandoned, having become associated with Nazi Germany. H. G. Wells, who had called for “the sterilization of failures” in 1904, stated in his 1940 book The Rights of Man: Or What are we fighting for? that among the human rights, which he believed should be available to all people, was “a prohibition on mutilation, sterilization, torture, and any bodily punishment”. After World War II, the practice of “imposing measures intended to prevent births within [a national, ethnical, racial or religious] group” fell within the definition of the new international crime of genocide, set out in the Convention on the Prevention and Punishment of the Crime of Genocide. The Charter of Fundamental Rights of the European Union also proclaims “the prohibition of eugenic practices, in particular those aiming at selection of persons”. In spite of the decline in discriminatory eugenics laws, some government mandated sterilizations continued into the 21st century. During the ten years President Alberto Fujimori led Peru from 1990 to 2000, 2,000 persons were allegedly involuntarily sterilized. China maintained its one-child policy until 2015 as well as a suite of other eugenics based legislation to reduce population size and manage fertility rates of different populations. In 2007 the United Nations reported coercive sterilizations and hysterectomies in Uzbekistan. During the years 2005 to 2013, nearly one-third of the 144 California prison inmates who were sterilized did not give lawful consent to the operation. Developments in genetic, genomic, and reproductive technologies at the end of the 20th century have raised numerous questions regarding the ethical status of eugenics, effectively creating a resurgence of interest in the subject.Some, such as UC Berkeley sociologist Troy Duster, claim that modern genetics is a back door to eugenics. This view is shared by White House Assistant Director for Forensic Sciences, Tania Simoncelli, who stated in a 2003 publication by the Population and Development Program at Hampshire College that advances in pre-implantation genetic diagnosis (PGD) are moving society to a “new era of eugenics”, and that, unlike the Nazi eugenics, modern eugenics is consumer driven and market based, “where children are increasingly regarded as made-to-order consumer products”. In a 2006 newspaper article, Richard Dawkins said that discussion regarding eugenics was inhibited by the shadow of Nazi misuse, to the extent that some scientists would not admit that breeding humans for certain abilities is at all possible. He believes that it is not physically different from breeding domestic animals for traits such as speed or herding skill. Dawkins felt that enough time had elapsed to at least ask just what the ethical differences were between breeding for ability versus training athletes or forcing children to take music lessons, though he could think of persuasive reasons to draw the distinction. Lee Kuan Yew, the Founding Father of Singapore, started promoting eugenics as early as 1983. In October 2015, the United Nations’ International Bioethics Committee wrote that the ethical problems of human genetic engineering should not be confused with the ethical problems of the 20th century eugenics movements. However, it is still problematic because it challenges the idea of human equality and opens up new forms of discrimination and stigmatization for those who do not want, or cannot afford, the technology. Transhumanism is often associated with eugenics, although most transhumanists holding similar views nonetheless distance themselves from the term “eugenics” (preferring “germinal choice” or “reprogenetics”) to avoid having their position confused with the discredited theories and practices of early-20th-century eugenic movements. Prenatal screening can be considered a form of contemporary eugenics because it may lead to abortions of children with undesirable traits. The term eugenics and its modern field of study were first formulated by Francis Galton in 1883, drawing on the recent work of his half-cousin Charles Darwin. Galton published his observations and conclusions in his book Inquiries into Human Faculty and Its Development. The origins of the concept began with certain interpretations of Mendelian inheritance and the theories of August Weismann. The word eugenics is derived from the Greek word eu (“good” or “well”) and the suffix -gens (“born”), and was coined by Galton in 1883 to replace the word “stirpiculture”, which he had used previously but which had come to be mocked due to its perceived sexual overtones. Galton defined eugenics as “the study of all agencies under human control which can improve or impair the racial quality of future generations”. Historically, the term eugenics has referred to everything from prenatal care for mothers to forced sterilization and euthanasia. To population geneticists, the term has included the avoidance of inbreeding without altering allele frequencies; for example, J. B. S. Haldane wrote that “the motor bus, by breaking up inbred village communities, was a powerful eugenic agent.” Debate as to what exactly counts as eugenics continues today. Edwin Black, journalist and author of War Against the Weak, claims eugenics is often deemed a pseudoscience because what is defined as a genetic improvement of a desired trait is often deemed a cultural choice rather than a matter that can be determined through objective scientific inquiry. The most disputed aspect of eugenics has been the definition of “improvement” of the human gene pool, such as what is a beneficial characteristic and what is a defect. Historically, this aspect of eugenics was tainted with scientific racism and pseudoscience. Early eugenists were mostly concerned with factors of perceived intelligence that often correlated strongly with social class. Some of these early eugenists include Karl Pearson and Walter Weldon, who worked on this at the University College London. Eugenics also had a place in medicine. In his lecture “Darwinism, Medical Progress and Eugenics”, Karl Pearson said that everything concerning eugenics fell into the field of medicine. He basically placed the two words as equivalents. He was supported in part by the fact that Francis Galton, the father of eugenics, also had medical training. Eugenic policies have been conceptually divided into two categories. Positive eugenics is aimed at encouraging reproduction among the genetically advantaged; for example, the reproduction of the intelligent, the healthy, and the successful. Possible approaches include financial and political stimuli, targeted demographic analyses, in vitro fertilization, egg transplants, and cloning. The movie Gattaca provides a fictional example of a dystopian society that uses eugenics to decided what people are capable of and their place in the world. Negative eugenics aimed to eliminate, through sterilization or segregation, those deemed physically, mentally, or morally “undesirable”. This includes abortions, sterilization, and other methods of family planning. Both positive and negative eugenics can be coercive; abortion for fit women, for example, was illegal in Nazi Germany. Jon Entine claims that eugenics simply means “good genes” and using it as synonym for genocide is an “all-too-common distortion of the social history of genetics policy in the United States”. According to Entine, eugenics developed out of the Progressive Era and not “Hitler’s twisted Final Solution”. The first major challenge to conventional eugenics based upon genetic inheritance was made in 1915 by Thomas Hunt Morgan. He demonstrated the event of genetic mutation occurring outside of inheritance involving the discovery of the hatching of a fruit fly (Drosophila melanogaster) with white eyes from a family with red eyes. Morgan claimed that this demonstrated that major genetic changes occurred outside of inheritance and that the concept of eugenics based upon genetic inheritance was not completely scientifically accurate. Additionally, Morgan criticized the view that subjective traits, such as intelligence and criminality, were caused by heredity because he believed that the definitions of these traits varied and that accurate work in genetics could only be done when the traits being studied were accurately defined. Despite Morgan’s public rejection of eugenics, much of his genetic research was absorbed by eugenics. The heterozygote test is used for the early detection of recessive hereditary diseases, allowing for couples to determine if they are at risk of passing genetic defects to a future child. The goal of the test is to estimate the likelihood of passing the hereditary disease to future descendants. Recessive traits can be severely reduced, but never eliminated unless the complete genetic makeup of all members of the pool was known, as aforementioned. As only very few undesirable traits, such as Huntington’s disease, are dominant, it could be argued[by whom?] from certain perspectives that the practicality of “eliminating” traits is quite low. There are examples of eugenic acts that managed to lower the prevalence of recessive diseases, although not influencing the prevalence of heterozygote carriers of those diseases. The elevated prevalence of certain genetically transmitted diseases among the Ashkenazi Jewish population (TaySachs, cystic fibrosis, Canavan’s disease, and Gaucher’s disease), has been decreased in current populations by the application of genetic screening. Pleiotropy occurs when one gene influences multiple, seemingly unrelated phenotypic traits, an example being phenylketonuria, which is a human disease that affects multiple systems but is caused by one gene defect. Andrzej Pkalski, from the University of Wrocaw, argues that eugenics can cause harmful loss of genetic diversity if a eugenics program selects a pleiotropic gene that could possibly be associated with a positive trait. Pekalski uses the example of a coercive government eugenics program that prohibits people with myopia from breeding but has the unintended consequence of also selecting against high intelligence since the two go together. Eugenic policies could also lead to loss of genetic diversity, in which case a culturally accepted “improvement” of the gene pool could very likelyas evidenced in numerous instances in isolated island populations result in extinction due to increased vulnerability to disease, reduced ability to adapt to environmental change, and other factors both known and unknown. A long-term, species-wide eugenics plan might lead to a scenario similar to this because the elimination of traits deemed undesirable would reduce genetic diversity by definition. Edward M. Miller claims that, in any one generation, any realistic program should make only minor changes in a fraction of the gene pool, giving plenty of time to reverse direction if unintended consequences emerge, reducing the likelihood of the elimination of desirable genes. Miller also argues that any appreciable reduction in diversity is so far in the future that little concern is needed for now. While the science of genetics has increasingly provided means by which certain characteristics and conditions can be identified and understood, given the complexity of human genetics, culture, and psychology, at this point no agreed objective means of determining which traits might be ultimately desirable or undesirable. Some diseases such as sickle-cell disease and cystic fibrosis respectively confer immunity to malaria and resistance to cholera when a single copy of the recessive allele is contained within the genotype of the individual. Reducing the instance of sickle-cell disease genes in Africa where malaria is a common and deadly disease could indeed have extremely negative net consequences. However, some genetic diseases cause people to consider some elements of eugenics. Societal and political consequences of eugenics call for a place in the discussion on the ethics behind the eugenics movement. Many of the ethical concerns regarding eugenics arise from its controversial past, prompting a discussion on what place, if any, it should have in the future. Advances in science have changed eugenics. In the past, eugenics had more to do with sterilization and enforced reproduction laws. Now, in the age of a progressively mapped genome, embryos can be tested for susceptibility to disease, gender, and genetic defects, and alternative methods of reproduction such as in vitro fertilization are becoming more common. Therefore, eugenics is no longer ex post facto regulation of the living but instead preemptive action on the unborn. With this change, however, there are ethical concerns which lack adequate attention, and which must be addressed before eugenic policies can be properly implemented in the future. Sterilized individuals, for example, could volunteer for the procedure, albeit under incentive or duress, or at least voice their opinion. The unborn fetus on which these new eugenic procedures are performed cannot speak out, as the fetus lacks the voice to consent or to express his or her opinion. Philosophers disagree about the proper framework for reasoning about such actions, which change the very identity and existence of future persons. A common criticism of eugenics is that “it inevitably leads to measures that are unethical”. Some fear future “eugenics wars” as the worst-case scenario: the return of coercive state-sponsored genetic discrimination and human rights violations such as compulsory sterilization of persons with genetic defects, the killing of the institutionalized and, specifically, segregation and genocide of races perceived as inferior. Health law professor George Annas and technology law professor Lori Andrews are prominent advocates of the position that the use of these technologies could lead to such human-posthuman caste warfare. In his 2003 book Enough: Staying Human in an Engineered Age, environmental ethicist Bill McKibben argued at length against germinal choice technology and other advanced biotechnological strategies for human enhancement. He writes that it would be morally wrong for humans to tamper with fundamental aspects of themselves (or their children) in an attempt to overcome universal human limitations, such as vulnerability to aging, maximum life span and biological constraints on physical and cognitive ability. Attempts to “improve” themselves through such manipulation would remove limitations that provide a necessary context for the experience of meaningful human choice. He claims that human lives would no longer seem meaningful in a world where such limitations could be overcome with technology. Even the goal of using germinal choice technology for clearly therapeutic purposes should be relinquished, since it would inevitably produce temptations to tamper with such things as cognitive capacities. He argues that it is possible for societies to benefit from renouncing particular technologies, using as examples Ming China, Tokugawa Japan and the contemporary Amish. In their book published in 2000, From Chance to Choice: Genetics and Justice, bioethicists Allen Buchanan, Dan Brock, Norman Daniels and Daniel Wikler argued that liberal societies have an obligation to encourage as wide an adoption of eugenic enhancement technologies as possible (so long as such policies do not infringe on individuals’ reproductive rights or exert undue pressures on prospective parents to use these technologies) in order to maximize public health and minimize the inequalities that may result from both natural genetic endowments and unequal access to genetic enhancements. Original position, a hypothetical situation developed by American philosopher John Rawls, has been used as an argument for negative eugenics. They were stolen from their homes, locked in chains and taken across an ocean. And for more than 200 years, their blood and sweat would help to build the richest and most powerful nation the world has ever known. But when slavery ended, their welcome was over. America’s wealthy elite had decided it was time for them to disappear and they were not particular about how it might be done. What you are about to see is that the plan these people set in motion 150 years ago is still being carried out today. So don’t think that this is history. It is not. It is happening right here, and it’s happening right now. Eugenics, the selection of desired heritable characteristics in order to improve future generations, typically in reference to humans. The term eugenics was coined in 1883 by British explorer and natural scientist Francis Galton, who, influenced by Charles Darwins theory of natural selection, advocated a system that would allow the more suitable races or strains of blood a better chance of prevailing speedily over the less suitable. Social Darwinism, the popular theory in the late 19th century that life for humans in society was ruled by survival of the fittest, helped advance eugenics into serious scientific study in the early 1900s. By World War I many scientific authorities and political leaders supported eugenics. However, it ultimately failed as a science in the 1930s and 40s, when the assumptions of eugenicists became heavily criticized and the Nazis used eugenics to support the extermination of entire races. Although eugenics as understood today dates from the late 19th century, efforts to select matings in order to secure offspring with desirable traits date from ancient times. Platos Republic (c. 378 bce) depicts a society where efforts are undertaken to improve human beings through selective breeding. Later, Italian philosopher and poet Tommaso Campanella, in City of the Sun (1623), described a utopian community in which only the socially elite are allowed to procreate. Galton, in Hereditary Genius (1869), proposed that a system of arranged marriages between men of distinction and women of wealth would eventually produce a gifted race. In 1865 the basic laws of heredity were discovered by the father of modern genetics, Gregor Mendel. His experiments with peas demonstrated that each physical trait was the result of a combination of two units (now known as genes) and could be passed from one generation to another. However, his work was largely ignored until its rediscovery in 1900. This fundamental knowledge of heredity provided eugenicistsincluding Galton, who influenced his cousin Charles Darwinwith scientific evidence to support the improvement of humans through selective breeding. The advancement of eugenics was concurrent with an increasing appreciation of Darwins account for change or evolution within societywhat contemporaries referred to as social Darwinism. Darwin had concluded his explanations of evolution by arguing that the greatest step humans could make in their own history would occur when they realized that they were not completely guided by instinct. Rather, humans, through selective reproduction, had the ability to control their own future evolution. A language pertaining to reproduction and eugenics developed, leading to terms such as positive eugenics, defined as promoting the proliferation of good stock, and negative eugenics, defined as prohibiting marriage and breeding between defective stock. For eugenicists, nature was far more contributory than nurture in shaping humanity. During the early 1900s eugenics became a serious scientific study pursued by both biologists and social scientists. They sought to determine the extent to which human characteristics of social importance were inherited. Among their greatest concerns were the predictability of intelligence and certain deviant behaviours. Eugenics, however, was not confined to scientific laboratories and academic institutions. It began to pervade cultural thought around the globe, including the Scandinavian countries, most other European countries, North America, Latin America, Japan, China, and Russia. In the United States the eugenics movement began during the Progressive Era and remained active through 1940. It gained considerable support from leading scientific authorities such as zoologist Charles B. Davenport, plant geneticist Edward M. East, and geneticist and Nobel Prize laureate Hermann J. Muller. Political leaders in favour of eugenics included U.S. Pres. Theodore Roosevelt, Secretary of State Elihu Root, and Associate Justice of the Supreme Court John Marshall Harlan. Internationally, there were many individuals whose work supported eugenic aims, including British scientists J.B.S. Haldane and Julian Huxley and Russian scientists Nikolay K. Koltsov and Yury A. Filipchenko. Galton had endowed a research fellowship in eugenics in 1904 and, in his will, provided funds for a chair of eugenics at University College, London. The fellowship and later the chair were occupied by Karl Pearson, a brilliant mathematician who helped to create the science of biometry, the statistical aspects of biology. Pearson was a controversial figure who believed that environment had little to do with the development of mental or emotional qualities. He felt that the high birth rate of the poor was a threat to civilization and that the higher races must supplant the lower. His views gave countenance to those who believed in racial and class superiority. Thus, Pearson shares the blame for the discredit later brought on eugenics. In the United States, the Eugenics Record Office (ERO) was opened at Cold Spring Harbor, Long Island, New York, in 1910 with financial support from the legacy of railroad magnate Edward Henry Harriman. Whereas ERO efforts were officially overseen by Charles B. Davenport, director of the Station for Experimental Study of Evolution (one of the biology research stations at Cold Spring Harbor), ERO activities were directly superintended by Harry H. Laughlin, a professor from Kirksville, Missouri. The ERO was organized around a series of missions. These missions included serving as the national repository and clearinghouse for eugenics information, compiling an index of traits in American families, training fieldworkers to gather data throughout the United States, supporting investigations into the inheritance patterns of particular human traits and diseases, advising on the eugenic fitness of proposed marriages, and communicating all eugenic findings through a series of publications. To accomplish these goals, further funding was secured from the Carnegie Institution of Washington, John D. Rockefeller, Jr., the Battle Creek Race Betterment Foundation, and the Human Betterment Foundation. Prior to the founding of the ERO, eugenics work in the United States was overseen by a standing committee of the American Breeders Association (eugenics section established in 1906), chaired by ichthyologist and Stanford University president David Starr Jordan. Research from around the globe was featured at three international congresses, held in 1912, 1921, and 1932. In addition, eugenics education was monitored in Britain by the English Eugenics Society (founded by Galton in 1907 as the Eugenics Education Society) and in the United States by the American Eugenics Society. Following World War I, the United States gained status as a world power. A concomitant fear arose that if the healthy stock of the American people became diluted with socially undesirable traits, the countrys political and economic strength would begin to crumble. The maintenance of world peace by fostering democracy, capitalism, and, at times, eugenics-based schemes was central to the activities of the Internationalists, a group of prominent American leaders in business, education, publishing, and government. One core member of this group, the New York lawyer Madison Grant, aroused considerable pro-eugenic interest through his best-selling book The Passing of the Great Race (1916). Beginning in 1920, a series of congressional hearings was held to identify problems that immigrants were causing the United States. As the countrys eugenics expert, Harry Laughlin provided tabulations showing that certain immigrants, particularly those from Italy, Greece, and Eastern Europe, were significantly overrepresented in American prisons and institutions for the feebleminded. Further data were construed to suggest that these groups were contributing too many genetically and socially inferior people. Laughlins classification of these individuals included the feebleminded, the insane, the criminalistic, the epileptic, the inebriate, the diseasedincluding those with tuberculosis, leprosy, and syphilisthe blind, the deaf, the deformed, the dependent, chronic recipients of charity, paupers, and neer-do-wells. Racial overtones also pervaded much of the British and American eugenics literature. In 1923 Laughlin was sent by the U.S. secretary of labour as an immigration agent to Europe to investigate the chief emigrant-exporting nations. Laughlin sought to determine the feasibility of a plan whereby every prospective immigrant would be interviewed before embarking to the United States. He provided testimony before Congress that ultimately led to a new immigration law in 1924 that severely restricted the annual immigration of individuals from countries previously claimed to have contributed excessively to the dilution of American good stock. Immigration control was but one method to control eugenically the reproductive stock of a country. Laughlin appeared at the centre of other U.S. efforts to provide eugenicists greater reproductive control over the nation. He approached state legislators with a model law to control the reproduction of institutionalized populations. By 1920, two years before the publication of Laughlins influential Eugenical Sterilization in the United States (1922), 3,200 individuals across the country were reported to have been involuntarily sterilized. That number tripled by 1929, and by 1938 more than 30,000 people were claimed to have met this fate. More than half of the states adopted Laughlins law, with California, Virginia, and Michigan leading the sterilization campaign. Laughlins efforts secured staunch judicial support in 1927. In the precedent-setting case of Buck v. Bell, Supreme Court Justice Oliver Wendell Holmes, Jr., upheld the Virginia statute and claimed, It is better for all the world, if instead of waiting to execute degenerate offspring for crime, or to let them starve for their imbecility, society can prevent those who are manifestly unfit from continuing their kind. During the 1930s eugenics gained considerable popular support across the United States. Hygiene courses in public schools and eugenics courses in colleges spread eugenic-minded values to many. A eugenics exhibit titled Pedigree-Study in Man was featured at the Chicago Worlds Fair in 193334. Consistent with the fairs Century of Progress theme, stations were organized around efforts to show how favourable traits in the human population could best be perpetuated. Contrasts were drawn between the emulative presidential Roosevelt family and the degenerate Ishmael family (one of several pseudonymous family names used, the rationale for which was not given). By studying the passage of ancestral traits, fairgoers were urged to adopt the progressive view that responsible individuals should pursue marriage ever mindful of eugenics principles. Booths were set up at county and state fairs promoting fitter families contests, and medals were awarded to eugenically sound families. Drawing again upon long-standing eugenic practices in agriculture, popular eugenic advertisements claimed it was about time that humans received the same attention in the breeding of better babies that had been given to livestock and crops for centuries. Anti-eugenics sentiment began to appear after 1910 and intensified during the 1930s. Most commonly it was based on religious grounds. For example, the 1930 papal encyclical Casti connubii condemned reproductive sterilization, though it did not specifically prohibit positive eugenic attempts to amplify the inheritance of beneficial traits. Many Protestant writings sought to reconcile age-old Christian warnings about the heritable sins of the father to pro-eugenic ideals. Indeed, most of the religion-based popular writings of the period supported positive means of improving the physical and moral makeup of humanity. In the early 1930s Nazi Germany adopted American measures to identify and selectively reduce the presence of those deemed to be socially inferior through involuntary sterilization. A rhetoric of positive eugenics in the building of a master race pervaded Rassenhygiene (racial hygiene) movements. When Germany extended its practices far beyond sterilization in efforts to eliminate the Jewish and other non-Aryan populations, the United States became increasingly concerned over its own support of eugenics. Many scientists, physicians, and political leaders began to denounce the work of the ERO publicly. After considerable reflection, the Carnegie Institution formally closed the ERO at the end of 1939. During the aftermath of World War II, eugenics became stigmatized such that many individuals who had once hailed it as a science now spoke disparagingly of it as a failed pseudoscience. Eugenics was dropped from organization and publication names. In 1954 Britains Annals of Eugenics was renamed Annals of Human Genetics. In 1972 the American Eugenics Society adopted the less-offensive name Society for the Study of Social Biology. Its publication, once popularly known as the Eugenics Quarterly, had already been renamed Social Biology in 1969. U.S. Senate hearings in 1973, chaired by Sen. Ted Kennedy, revealed that thousands of U.S. citizens had been sterilized under federally supported programs. The U.S. Department of Health, Education, and Welfare proposed guidelines encouraging each state to repeal their respective sterilization laws. Other countries, most notably China, continue to support eugenics-directed programs openly in order to ensure the genetic makeup of their future. Despite the dropping of the term eugenics, eugenic ideas remained prevalent in many issues surrounding human reproduction. Medical genetics, a post-World War II medical specialty, encompasses a wide range of health concerns, from genetic screening and counseling to fetal gene manipulation and the treatment of adults suffering from hereditary disorders. Because certain diseases (e.g., hemophilia and Tay-Sachs disease) are now known to be genetically transmitted, many couples choose to undergo genetic screening, in which they learn the chances that their offspring have of being affected by some combination of their hereditary backgrounds. Couples at risk of passing on genetic defects may opt to remain childless or to adopt children. Furthermore, it is now possible to diagnose certain genetic defects in the unborn. Many couples choose to terminate a pregnancy that involves a genetically disabled offspring. These developments have reinforced the eugenic aim of identifying and eliminating undesirable genetic material. Counterbalancing this trend, however, has been medical progress that enables victims of many genetic diseases to live fairly normal lives. Direct manipulation of harmful genes is also being studied. If perfected, it could obviate eugenic arguments for restricting reproduction among those who carry harmful genes. Such conflicting innovations have complicated the controversy surrounding what many call the new eugenics. Moreover, suggestions for expanding eugenics programs, which range from the creation of sperm banks for the genetically superior to the potential cloning of human beings, have met with vigorous resistance from the public, which often views such programs as unwarranted interference with nature or as opportunities for abuse by authoritarian regimes. Applications of the Human Genome Project are often referred to as Brave New World genetics or the new eugenics, in part because they have helped to dramatically increase knowledge of human genetics. In addition, 21st-century technologies such as gene editing, which can potentially be used to treat disease or to alter traits, have further renewed concerns. However, the ethical, legal, and social implications of such tools are monitored much more closely than were early 20th-century eugenics programs. Applications generally are more focused on the reduction of genetic diseases than on improving intelligence. Still, with or without the use of the term, many eugenics-related concerns are reemerging as a new group of individuals decide how to regulate the application of genetics science and technology. This gene-directed activity, in attempting to improve upon nature, may not be that distant from what Galton implied in 1909 when he described eugenics as the study of agencies, under social control, which may improve or impair future generations. This is the first part of a two part series exploring the relationship between the controversial eugenics movement of the past and modern genetics. Eugenics was dedicated to cleansing and purifying humanity from inferior members with the hope of solving various social problems related to poverty, disability, and illness. To accomplish this, it sought to create a superior race of people and to use forced sterilization and extermination to eliminate future generations of defective human beings. Darwins theory of evolution was used to justify the practice of eugenics. Later, when eugenics fell from favor, modern genetics began to grow up from the ashes of the former movement. When Adolf Hitler applied Darwins theory of evolution and the principles of eugenics to the goals of the German state, the result was the murder of eleven million men, women and children. These lives were sacrificed in the name of eugenics. Eugenicists were seeking to improve the conditions of life for humanity by creating a superior race of people. What are the deceptions and dangers of the modern genetics movement? Does true health and true happiness lie in the human genome? Are we really bound to the set of genes that we received from our parents, or can we overcome what we were given? What are the factors that activate or deactivate certain genes, and how can we control the expression of our genetic make-up to promote our health and the health of our children? What are the motivations of certain groups who want us to believe that genes control every aspect of our lives that we have no other options than to suffer while genetic scientists look for genetic cures for all that ails us? Are we really more than our genes or is our genetic code all there is? These questions and many more will be examined in these articles. Lets begin by learning about the development of eugenics. The word Eugenics means good genes. Eugenicists believe that principles of Darwins theory regarding the survival of the fittest can be used to support the elimination of weak and undesirable people from society. They believe that human beings are inherently no different than animals, and therefore we can and should be bred like animals. A farmer does not allow deficient cows in his herd to reproduce, and in the same way, eugenicists believe that certain people in our society should control human reproduction. Simply put, eugenics consists of rational methods for putting evolution on the fast track, so that only the best people will reproduce and become superior beings. It is also the fast track for helping inferior families and inferior groups of people to stop their reproduction and to quickly die out. A steady stream of information has been distributed in every corner of society for over 150 years telling us that defective germplasm, or bad genes, lead to problems of child development, illness, low achievement, alcoholism, and even poverty. We are also told that good genes must be present in order for people to live healthy, prosperous, and happy lives. The general teaching is that our personal genetic code is the master blueprint that determines nearly everything about us. It determines our intellectual gifts, our artistic gifts, our physical structure, and establishes the parameters through which we will develop certain illnesses and ultimately die. We have been taught that this blueprint is written in stone, and if couples produce children, then their combined genetic material will create a new, unchangeable blueprint for their children. We are also told that the real cure for diseases will come from genetic repairs that are just beyond the horizon of modern science. In short, we are being told that in some cases, there isnt much hope for healing until modern genetics brings us the cure for all that ails us. Thus, some of us and some of our children are doomed to a life of illness and suffering unless we are willing to consider other options. Historically, killing a child after it is born was called infanticide. This is now being given a new name post-birth abortion or after-birth abortion. Central to this way of thinking is the belief that children are only potential human beings until they reach the age of self-awareness, which is believed to happen around age five. Proponents of post-birth abortion see children as disposable until the child becomes aware of its existence as a person and can begin to develop goals and ambitions for life. Those who believe in post-birth abortion are challenging American society to reconsider how we value human life. They are observing the fact that we already permit babies in the womb to be killed, we encourage the termination of the lives of animals when they are seriously ill, and most of us approve of slaughtering animals to supply food. Based on this, they ask, Why do we extend special privileges to young children who have the same level of consciousness as animals or babies in the womb? Why do we preserve the lives of defective people who are draining society of its resources? These groups extend their argument to the elderly as well. If a person with some form of dementia such as Alzheimers is no longer aware of his or her own existence as a human being, can no longer understand his or her medical condition, and is so frail and feebleminded that he or she can no longer contribute anything to society, then they would tell us that the termination of that persons life is no different than euthanizing an animal or aborting a baby in the womb. The proposal that we legalize the killing of defective children is just the reappearance of old style eugenics with a slightly new twist. Eugenicists believe that everything about us is determined by genetic composition. Who we are and how we behave is determined almost entirely by our germplasm our personal genetic code. Eugenicists seek to create a class of people who possess superior attributes such as intelligence, physical strength, and physical appearance. They also seek to discourage reproduction by inferior people. When techniques of discouragement fail to reduce the birth of new defectives, then forced sterilization of undesirables is pursued under the authority of the state. When sterilization is not practical, then termination of life is used to decrease the surplus population of defectives. On May 2 and May 3, 1911, in Palmer, Massachusetts, the research committees of the ABAs [American Breeders Association] eugenic section adopted a resolution creating a special new committee. Resolved: that the chair appoint a committee commissioned to study and report on the best practical means for cutting off the defective germ-plasm of the American population. Ten groups were eventually identified [by the American Breeders Association] as socially unfit and targeted for elimination. First, the feebleminded; second, the pauper class; third, the inebriate class or alcoholics; fourth, criminals of all descriptions including petty criminals and those jailed for nonpayment of fines; fifth, epileptics; sixth, the insane; seventh, the constitutionally weak class; eighth, those predisposed to specific diseases; ninth, the deformed; tenth, those with defective sense organs, that is, the deaf, blind and mute. In this last category, there was no indication of how severe the defect need be to qualify; no distinction was made between blurry vision or bad hearing and outright blindness or deafness. When Charles Darwins book The Origin of Species was published in 1859, it provided the perfect theory for those who believed in human breeding. Darwins cousin, Sir Francis Galton of England, applied The Origin of Species to his concerns about the degenerate state of society. Francis Galton believed social problems were caused by defects in human germplasm (genes). He believed that if defective people could be prevented from conceiving and giving birth to children, then problems such as poverty, mental illness, mental retardation, and alcoholism would die out. I will summarize a few additional points drawn from Roger Sandalls discussion of Francis Galton and the early eugenics movement. These points are not just the old and moldy views of a long dead eugenicist, but are beliefs that continue to influence the thinking of many people today. Francis Galton taught his followers that only the genetically perfect should be allowed to reproduce. In his 1873 essay Hereditary Improvement he insists that those of feeble constitution must embrace celibacy lest they should bring beings into existence whose race is predoomed to destruction by the laws of nature. Physical appearance is also seen as being important. People will need to have a certain skin color, hair color, eye color, and meet high standards for mental acuity and emotional stability. They also must possess ideal physical strength and physical form (either male or female) in order to have the right to reproduce. The plans of eugenicists closely follow the principles Darwins theory of evolution, which tells us that the strongest and fittest should overcome and replace the weak and inferior. Eugenicists have determined that they are the fittest and most able people for managing society and it is their responsibility as the superior beings to actively purge the weak and inferior from society. They believed that defective people need to be prevented from reproducing so that the number of defectives in the world will dwindle and fade away, while they, the fittest group of people, are allowed to survive and flourish. In 1927, the U.S. Supreme Court upheld the State of Virginias sterilization plan in Buck Versus Bell, which affirmed that it had the right to sterilize mentally deficient residents to prevent them from producing more of their kind. This decision opened the door to forced sterilization in many U.S. states. At that time, eugenicists believed that human character and behavior was almost completely determined by the germplasm. In contemporary language, we would say everything is determined by ones genes. Eugenicists believed that every negative trait they observed in a person could be passed on to their descendants. For example, a person living in poverty is poor because of his genes, and unless sterilization is pursued, that person will create children who are destined for poverty. They admitted that sometimes defective germplasm might not be seen in every child conceived by defectives, but if it was present in one generation, then it will be permanently present in all succeeding generations, and will eventually reappear. Of course, eugenic programs of the past and genetic programs of the present do not begin with mass scale slaughter of unwanted people as happened in Germany. They are marketed as benevolent programs that are designed to help people be happy and prosperous. They subtly condition people to believe that the Statehas a right to control every aspect of their reproduction for the sake of personal happiness. This belief is then gradually expanded to show that the government has a similar right to control human reproduction for the sake of creating a happy and prosperous society. It progresses from voluntary programs to involuntary programs from cooperation to mandatory compliance. The techniques of the eugenics movement involve sterilization and death. The objective of preventing reproduction by undesirables was achieved by all means possible. First the weakest and most helpless are targeted by eugenicists, and then certain undesirable people, who have bad genes, are marked for destruction. This type of population reduction is called systematic depopulation. Depopulation is also called genocide, which is the killing of large groups of people who share a common trait such as ethnic background or religious affiliation. The End Referring to the end of Catholic influence in the US. Klansmen: Guardians of Liberty 1926. Image Source. Eugenicists understand that one can only serve one master, and their master must be the god and religion of Darwinian Evolution. The moral absolutes of conservative biblical Christianity stand in direct opposition to Darwins theory of evolution and the full implementation of eugenic techniques. 2. Encourage inferior human beings to have fewer children, or discourage them from having children altogether. This would shrink undesirable bloodlines and weaken the possible influence on the superior bloodline. War Crimes Tribunal at Nuremberg. Adolf Hitlers personal physician, 43-year old Karl Brandt. Brandt was also Reich Commissar for Health and Sanitation, and was indicted by the U.S. prosecution with 22 other Nazi doctors. Brandt was found guilty of participating in and consenting to using concentration camp inmates as guinea pigs in horrible medical experiments, supposedly for the benefit of the armed forces. He was sentenced to death by hanging. Image Source.